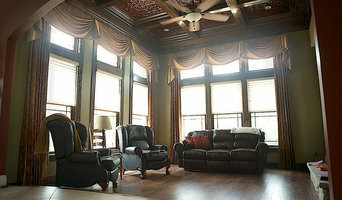 Interior decorator/designer - decorating & remodeling from start to finish. I've been an interior decorator/designer for the past 10 years. I love what I do, My mission is to help my clients transform their houses into homes they love! I can help them achieve their goals for their space they are remolding or redecorating from the first sketch to the finishing touches. Attention to details and thinking 'out of the box' for each individual client is my specialty. The Painted Home is located in downtown Washington. It is full of vintage inspiration, furniture, home décor and supplies for the DIY-er. We offer paint workshops and parties for the beginner and the advanced. We carry chalk based paints and finishes by Van Gogh, Vintage Market & Design, Modern Masters and General Finishes. Since 1911, Union Furniture has been providing the latest trends in furniture, flooring and home décor to Franklin County and surrounding areas. Residential and commercial interior design services are available. Proudly family owned and operated. Tish Kirchhoefer is a well respected interior designer and owner of Picture Perfect Designs, LLC. 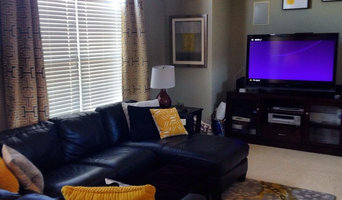 Since 1997, Tish has been specializing in residential and commercial interior design. 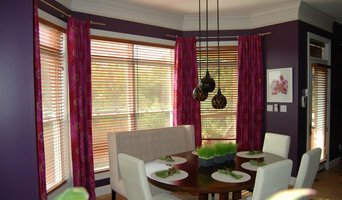 Her specialty is the design and installation of custom window treatments. Born and raised in St. Louis, Tish knows what discriminating clients in the St. Louis area want. Tish's passion for interior design is reflected in the beautiful surroundings that she creates. An ability to collaborate with architects, contractors, her clients have earned Tish a well deserved reputation as a true professional. I am an Interior Design Consultant and my 27 years of experience in the design field have given me many opportunities and experiences that continue to inspire and challenge me. I am very grateful for the many friendships that have developed on my journey. After owning my own shop for 14 years I have transitioned into working with my clients on a one-to-one basis to build their vision. I enjoy color, design trends, and repurposing my clients treasures. Sometimes a room just needs a different set of eyes to change things up and bring new life to the space. 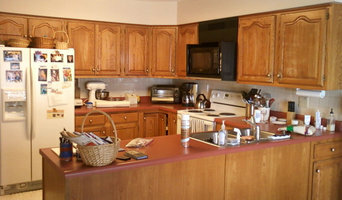 Glorypaint does faux finishes, cabinets, as well as furniture. We range from the elegant, wood finishes, to rustic, distressed, Anthropologie type furniture and finishes. These two closely related professions are often mistaken for the same thing, however there are some significant differences to be aware of before deciding which to hire. An interior designer, sometimes known as an interiors architect, can run full renovation and structural design projects, and will use specialised knowledge of interior architecture, construction systems and components, building regulations, materials and furnishings to arrive at your dream home design. Interior design companies are able to plan spaces and room functions down to the last detail, and can help design and renovate interiors, from initial planning phases to placing the last decorative accessory. A decorator on the other hand will typically be involved only in the aesthetic layer, the “look and feel” of a space, and won’t be able to assist in renovations that require structural work. Interior decorators normally come on board after all structural work is complete. 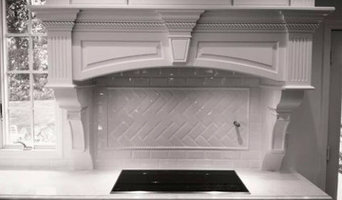 So choose your Rhineland, MO interior designer according to the type of work you need. Why should I hire an interior designer in Rhineland, MO? They say life is what happens while you’re busy making plans. Some of us are just too preoccupied with a career and/or family to think about colour schemes, wallpaper, flooring and lighting. A professional interior designer in Rhineland, MO can save you bags of time, stress and months, if not years, of living in a half-finished home. It’s their job to stay on top of the latest trends and to have contacts and visual references coming out of their ears. Interior designers and decorators can also save you money, sourcing products via trade contacts or offering affordable alternatives to blowout iconic designs. How do I choose the right Rhineland, MO interior designer for my home? Good design and visual inspiration are all around us. Start by searching for interior architects and interior designers in Rhineland, MO on Houzz. Keep a lookout for images of rooms and features that you really like and save them to your Ideabooks to begin to develop an understanding of your own style and taste. If you notice that photos from the same interior design companies are popping up regularly then that is a good hint that they could be your perfect design match. You can feel most confident if you hire an interior designer or interior design company in Rhineland, MO that has completed work similar to the look and feel that you desire, whether that is a mix-and-match lounge oozing mid-century modern style, a pale and interesting minimalist bedroom with shots of colour, or a beautiful space inspired by Scandinavian design. How much does an interior designer in Rhineland, MO cost? What are some of the important questions to ask Rhineland, MO interior designers or interior decorators? Start searching for an interior design Rhineland, MO professional in your area who can bring life to your interiors and reinvent your home for you. Look through reviews, projects and ratings to decide on the best interior designer in Rhineland, MO for your taste and style.